With more than 90 recipes, great food anecdotes from the people of Dunedin and stunning food photography by New Zealand's leading food photographer Kelly Lindsay, Delicious Dunedin is your essential guide to the culinary treasure trove of the city and the perfect gift for every New Zealander and visitor to our beautiful city. 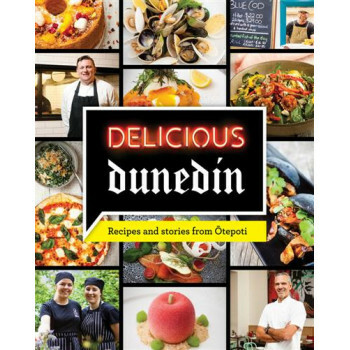 For 8 months we have travelled from North East Valley to Outram, Roslyn to Mornington, St. Clair to Waverley to bring you recipes and stories from 60 of Dunedin's best chefs, restaurants and cafes. You can now cook everything Dunedin has on offer at home, in your own kitchen. All pre-orders receive a limited edition teatowel designed by Frank Gordon!